Let’s turn the lights back on around here. . . Recently, the Supreme Court granted cert. on a really interesting habeas issue: whether Martinez extends to ineffective assistance of appellate counsel claims. Case is called Davila v. Davis. SCOTUSblog page here. Let’s start with a Martinez refresher: in 2012, the Supreme Court held in Martinez v. Ryan that the ineffective assistance of post-conviction counsel can represent cause to overcome a procedural default on an ineffective assistance of trial counsel claim. In other words, a petitioner can argue that his post-conviction counsel was ineffective for failing to raise or properly litigate a trial counsel ineffectiveness argument. If he can establish that, then he can obtain federal review of the trial counsel ineffectiveness claim (I am going to use IAC from here on out, it’s a lot of words to keep spelling out). That’s the law now for trial IAC claims. But what about appellate IAC claims? Does the reasoning of Martinez extend to those types of claims? I am going to steal this clever framing from a colleague, but in some ways it boils down to this: It’s the Ninth Circuit vs. the rest of the country on this one. The Ninth Circuit in a case called Nguyen v. Curry held that Martinez extends to these types of claims. Every other court has said no. Based on the infamy of the Ninth Circuit, one may think that it is the kiss of death for the habeas petitioner to have the Ninth Circuit on his side. But I wouldn’t jump to that conclusion so quick here. The Ninth Circuit is not always wrong when it issues a pro-habeas petitioner interpretation on a procedural issue. * That is not inconsistent with recent Supreme Court law, as the Court has actually been relatively generous in expanding habeas procedural issues under the Roberts Court (e.g. Martinez, Maples, McQuiggin). Ironically, Martinez was out of the Ninth Circuit and the Supreme Court reversed the Ninth Circuit for failing to rule in favor of the habeas petitioner. *Of course, they do still get reversed on their pro-habeas petitioner procedural rulings as well. This decision from last term is a good example. But let me also advocate for the devil here. ** Is there something different between these two types of claims? There is an argument to be made that there is. As Justice Kennedy reasoned in Martinez, IAC trial claims often require investigation into matters outside the trial record. Something that a habeas petitioner cannot do while incarcerated. But appellate counsel claims don’t require that type of investigation. Appellate issues are based exclusively on the lower court record. Outside of having legal experience, wisdom, and skill, habeas petitioners do in theory have the issues at their disposal while incarcerated (assuming they have the trial record with them). But I don’t find that reasoning particularly persuasive. As I imply in that final sentence, habeas petitioners are not in a good position to raise these claims. They don’t generally have the legal ability to identify appellate issues. They are incarcerated. They don’t have a lot of access to legal materials. They don’t often have complete records from their trial. Yet, criminal defendants have the constitutional right to the effective assistance of appellate counsel (yes, spelled it out there, but it seemed appropriate). These claims can only be brought in the initial review collateral proceeding. Representation by counsel in those proceedings to raise a violation of a guaranteed constitutional right seems pretty vital to me. Martinez was 7 to 2. If the court remains at 8, it will take a shift of four members of the majority for the Court to reject the Martinez extension. But I guess it is more complicated than that. If the habeas petitioner loses three, then it is 4 to 4. The individual petitioner will lose in that situation, but at least petitioners in the Ninth Circuit would still be happy. And the issue would remain undecided. If the Court gets back up to 9, the numbers game would change a little. Assuming the new judge votes like Scalia, that will add another judge to the anti-Martinez extension crew. In that situation, a three-judge shift will mean a lose for all habeas petitioners. * Yes, I am assuming Ginsburg, Kagan, Breyer, and Sotomayor are reliable votes here. If you want to read more about this, I enjoyed this write up about the case. Today's Supreme Court order list contained two written opinions by Justice Alito. The first was his Statement Respecting Denial of Certiorari in the non-habeas civil case of Martin v. Blessing, the second was his dissent from the denial of certiorari in the Sixth Circuit's Rapelje v. McClellan. Notably, in the former non-habeas case, Justice Alito concludes by emphasizing that he "do[es] not disagree with the Court’s refusal to review" because "we are not a court of error correction[.]" Indeed, Alito's unremarkable proposition tracks Supreme Court Rule 10, which outlines the "considerations" in whether to grant cert., noting that "misapplication of a properly stated rule of law" is of lowest priority. Ironically, in the very next page in today's order--the first page of Justice Alito's dissent in McClellan--he faults the Sixth Circuit for its "serious misreading" of Richter, and faults the Court for leaving the decision "uncorrected." He concludes that he would "grant the petition and vacate the decision below because the Sixth Circuit made a severe error of federal law." So the question that should be resolved is whether and under what circumstances can the Supreme Court act as a court of error correction? If practice is an indicator, error correction is often appropriate provided that the petition is from a decision of a federal appellate court, preferrably the Sixth or Ninth Circuit, that erroneously grants federal habeas relief. It would just be really nice if this practice was codified, perhaps by a formal amendment to Rule 10. On Monday, the Supreme Court summarily reversed an evidentiary hearing order in Ryan v. Schad. Notably, the Supreme Court did not reach the merits of Ninth Circuit's order remand: that an evidentiary hearing is appropriate to consider the impact of Martinez on a maldeveloped claim that was not procedurally defaulted. The Supreme Court avoided two of the Warden's three questions presented, which also echo the chief legal grief expressed by the judges dissenting from the denial of en banc rehearing. Instead, the Supreme Court reversed the Ninth Circuit on a legal technically that was made available by the happenstance of Schad's procedural posture. That is -- and this is somewhat complicated -- by the procedural background behind the merits of the remand order: (1) the adjudication was completed by February 28, 2012,* (2) Schad’s motion take advantage of the intervening case of Martinez came months after it could have been filed, and was ultimately denied, and (3) the Ninth Circuit seemed to sua sponte decide to reconsider that motion by means of construing another motion as a re-urging of the prior Martinez motion. Bizarre. All the while, the Ninth Cirucit refused to issue the mandate in light of what obviously seemed like a final judgment in the § 2254 proceedings. The Supreme Court found that this ran afoul of its precedents on withdrawing (or withholding) the mandate after the completion of federal habeas proceedings in Bell v. Thompson, and Thompson v. Calderon. * The PC opinion's procedural history indicates that Schad filed a rehearing petition on that date, after the three judge panel refused to grant relief on the basis of Pinholster. There is no notation of a cert. off of that decision. What this really means is that the Supreme Court chose to punt yet another** substantive and difficult legal question: whether a Martinez-type cause (an incompetent state collateral lawyer) may provide relief from the Pinholster limitation of federal fact development, and/or the § 2254(d) deferential review, in the same way as it provides relief from a procedural default. Denying cert. in Gallow v. Cooper, the Supreme Court indicated that the Martinez-Pinholster issue is not quite ripe for its determination. The denial was accompanied by a two-page statement of Justice Breyer (joined by Justice Sotomayor). Justice Breyer endorses balancing the Martinez-Pinholster equities by construing the procedural default doctrine in a broader, more functional and less formalistic manner. Under this approach, a claim is procedurally defaulted when a petitioner, although technically pleads the claim, "fail[s] to obtain a hearing on the merits . . . because state habeas counsel neglected to 'properly presen[t]' the . . . claim in state court." It seems to me, this will require the Supreme Court to revisit yet again the scope of an "adjudicat[ion] on the merits" for purposes of § 2254(d), as well as the issue of what judicial actor gets to decide whether a claim was adjudicated on the merits..
For example, consider a situation involving a claim "pled" in state court, but so poorly that the it is doomed for all intents and purposes. If the state court says it is denying the claim "on the merits," does it really? Does that statement automatically bind federal courts to § 2254(d) and Pinholster limits on review? The most equitable answer is surely no. A state court should not have unfettered authority to say magic words to invoke the cloak of § 2254(d) and Pinholster. Instead, whether there was a merits adjudication of a claim, within the definition of the federal statute--§ 2254(d)--should ultimately be an objective question of federal law, to be decided by a federal court. If--in light of the state court habeas rules, pleadings and evidence proferred--the claim is insufficiently pled to warrant relief, a federal court should not conclude that it was adjudicated on the merits, no matter what the state court says. To be sure, state courts often deny claims on the merits in the alternative to an obvious procedural bar such as abusiveness or untimeliness. But that is unremarkable, so long as the defaulted claim was sufficiently pled for genuine merits determination. On the other hand, Justice Breyer's statement makes no pass at the notion that, if there is no doubt as to an adjudication on the merits under § 2254(d), a federal court may use Martinez to bypass the required deferential review. As I discussed previously, because § 2254(d)--unlike the procedural default doctrine--is a statutory command, a federal court has very limited ability to recognize equitable exceptions. As much as I hate to bump Matt's awesome post about the Lopez case from the top of the blog, I did have a few minutes and wanted to mention something from this week's SCOTUSblog's relist watch. A couple of months ago, I mentioned the Martinez v. Pinholster battle going on in the Ninth Circuit. It came to a head in a case called Schad v. Ryan, where a bunch of conservative judges issued an opinion dissenting from the denial of rehearing. So as not to disturb the fundamental rule of nature that as the number of relists approaches four, at least one has to be a habeas case, the Court relisted Ryan v. Schad, 12-1084, yet another state-on-top habeas case out of the Ninth Circuit, and with a long pedigree to boot: It was relisted in the early days of Relist Watch, and then GVR’d a couple years ago in light ofCullen v. Pinholster. In its current form, a panel majority consisting of Judges Schroeder and Reinhardt reconsidered the prior denial of Schad’s latest GVR request, and ordered the case to be sent back to the district court for reconsideration of “new evidence” relevant to his ineffective-assistance-of-counsel claim in light of Martinez v. Ryan. The Ninth denied rehearing en banc, with eight of the court’s more conservative judges dissenting. Can’t imagine why this has caught the Court’s attention. To note, two weeks ago, Alex wrote about a different cert. petition, in Gallow v. Cooper that raises a similar issue. As Alex indicated in his post, the resolution of the tension between Martinez and Pinholster seems inevitable. Will it be in one of these two cases? Last week, in a 5-4 decision, the Supreme Court decided McQuiggin v. Perkins. * The Court held that a Schlup gateway “actual innocence” showing can overcome the one-year statute of limitations time bar. Ginsburg wrote the (nice) majority opinion and Scalia wrote the (troubling) dissent. 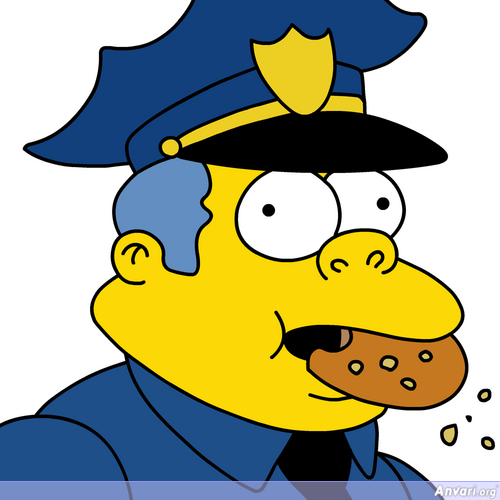 *As I was adding the link, I just realized that McQuiggin (kind of) rhymes with Chief Wiggum. Can't say that about the parties in too many S.Ct. decisions. Alas, the shorthand for the case technically should be Perkins, as McQuiggin is the name of the warden. I am guessing, though, that more people will refer to this case as "McQuiggin" rather than "Perkins". The majority's opinion is a satisfying result for habeas fans. It’s completely consistent with the equitable principles of habeas law. It’s also consistent with the way that the rest of habeas law is structured, as an actual innocence claim can be used to overcome any other procedural shortcoming. Important to note what exactly the Court did hold here: there is an actual innocence exception to the statute of limitations. It stands on its own as it's own procedural thing. As a habeas attorney pointed out to me at one point, the petitioner in this case mistakenly argued that actual innocence could be ground on which the time limit could be equitably tolled. But that’s not what’s going on here. Equitable tolling is one exception. Actual innocence is another. They are now two separate exceptions available to a habeas petitioner. A petitioner can rely on actual innocence to get over the timeliness hump even if there are no grounds to equitably toll the limitations period. Another important part of the opinion was that the Court concluded that, unlike equitable tolling, there is no diligence requirement. Rather, any argument about the staleness of the innocence evidence or the length of time it took a petitioner to either find the evidence or present it to a court is simply a factor to weigh in determining the strength of petitioner’s claim of actual innocence. In fact, as the Sixth Circuit held below, a diligence requirement for this type of claim is completely illogical. It was really nice to read the Court actually agreeing with something the Sixth Circuit had said. One interesting note is that the petitioner won on the law, but lost the case. The Court deferred to the district court’s conclusion that his showing was insufficient to meet the Schlup standard. As a lawyer, it’s an odd feeling to get this type of opinion. You feel good that you were right on the law, but you feel horrible that you lost the case. And the loss dulls whatever excitement you may have had that you were right. At least short term. With some perspective and time, it becomes easier to say that at least I made good law for other people, even if it didn’t help my client. It’s probably toughest on the ego, though, as it actually does count as a loss. Speaking of the loss column, let’s talk about the dissent. It really is a p.r. disaster for the anti-habeas crowd. It’s a tough sell to a lay person that it's okay for someone who can prove their innocence to have to rot in jail. I have seen many people in the media frame it that way. It just makes these judges appear cruel. I guess you have to hand it to the dissenters, they don’t care about how they look in the public eye. But it’s exactly what I felt when Scalia dissented from the denial of cert. in Cash v. Maxwell (one of those cases where the system clearly went horribly off the tracks) – is this really a situation where the judges want to take a stand against the habeas petitioner? The equities clearly are on the side of the petitioner. But beyond the p.r. mess, I didn’t really find the arguments in the dissent that persuasive. Scalia’s main claim is that this is the first time that the actual innocence exception has been applied to a statutorily created procedural hurdle, as opposed to a judge-created procedural hurdle. It boils down to an accusation of judicial activism. But it’s a pretty hollow complaint. While his argument, on its own terms, is hyper-technically accurate, it’s not really accurate in the grand scheme of things. Exhaustion is part of the statute, and actual innocence can be used to overcome a procedural default along the way to exhausting a claim. While one step removed, it’s really not that different logically. And of course the irony is that the Supreme Court has been highly active for years in creating procedural rules that don’t exist in the statute. Because equity and fairness (in most situations to the State and its courts). But these concerns obviously can go in the other direction, and the majority was relying upon these principles to make a ridiculously harsh statute more equitable. To note, Scalia even has to acknowledge that the Court has already created an exception to the statute of limitations, namely equitable tolling. He differentiates it from actual innocence in that equitable tolling has been around for a long time. Yawn. The actual innocence exception to overcome procedural hurdles has been around for years, and is as old as many of the procedural hurdles that the Court has created. Further, innocence has always been at the heart of modern habeas law – meaning for over 60 years. And, once again, equity and fairness. That’s why equitable tolling typically is allowed for a statute of limitations. It’s the exact same reason the actual innocence exception has now been allowed by the Court in the habeas context -- the imprisonment of an innocent person is one of the greatest inequities that our society faces. But I haven’t even reach the real cynical part of the dissent. For years, I have been joking on here that much of what the Court does seems to be motivated by nothing more than hatred for habeas corpus. I thought it was only hyperbolic. Turns out it was true. It has now been 60 years since Brown v. Allen, in which we struck the Faustian bargain that traded the simple elegance of the common-law writ of habeas corpus for federal-court power to probe the substantive merits of state-court convictions. Even after AEDPA's pass through the Augean stables, no one in a position to observe the functioning of our byzantine federal-habeas system can believe it an efficient device for separating the truly deserving from the multitude of prisoners pressing false claims. "[F]loods of stale, frivolous and repetitious petitions inundate the docket of the lower courts and swell our own. . . . It must prejudice the occasional meritorious applicant to be buried in a flood of worthless ones." Id., at 536-537. The "inundation" that Justice Jackson lamented in 1953 "consisted of 541" federal habeas petitions filed by state prisoners. Friendly, Is Innocence Irrelevant? Collateral Attack on Criminal Judgments, 38 U. Chi. L. Rev. 142, 143 (1970). By 1969, that number had grown to 7,359. Ibid. In the year ending on September 30, 2012, 15,929 such petitions were filed. Administrative Office of the United States Courts, Judicial Business of the United States Courts 3 (Sept. 30, 2012) (Table C-2). Today's decision piles yet more dead weight onto a postconviction habeas system already creaking at its rusted joints. Talk about blaming the victim. The only reason that habeas is somehow “creaking at its rusted joints” is because Justice’s like Scalia broke it with those “byzantine” procedural hurdles. It’s like the current Republicans in Congress complaining that government doesn’t work after they cut the funding necessary to make the Government work. Really, he is just unhappy that the Court breathed a small bit of life into habeas. And it really is a very tiny bit. But at least it’s something. I’ll just close by saying this: This blog has been around for over four years now and we have seen plenty of examples on here of why habeas review remains a vital and necessary element of the criminal justice system. And contrary to what Scalia suggests, I will say as a full-time habeas litigator that meritorious habeas cases are not prejudiced from a flood of stale habeas petitions. Not in the least. They are prejudiced – solely – from the harsh standards of the AEDPA, which has ensured that many constitutional violations do not get remedied. Get rid of the AEDPA and you will see a miraculous disappearance of, not just the creaking, but also the rust from the joints -- and fast. If only Billy Mays was still around to sell this simple remedy. Martinez v. Pinholster: Coming to SCOTUS Soon? When a Strickland-deficient state postconviction lawyer fails to raise a substantial ineffective assistance of (trial) counsel ("IATC") claim, the federal courts will excuse the default in habeas. But what if the state lawyer does fairly present the IATC claim, but loses after shamelessly failing to develop the factual basis? This is the "Martinez v. Pinholster" tension, which JK discussed a few months ago, now percolating in some federal courts of appeal. The eventual Supreme Court resolution of this conflict seems pretty inevitable, and some tea leaves may appear very soon: This very question* is presented in Gallow v. Cooper, a noncapital, state-on-bottom cert. petition out of the Fifth Circuit. It is noteworthy because it is now scheduled for its fifth cert. conference, which is very rare and typically indicative of something brewing. * Gallow presents the following question: "Can a federal court consider new evidence to support a state prisoner’s application for habeas relief under 28 U.S.C. §2254(d), when the state court record was not developed as a result of incompetent and likely conflicted post conviction counsel[?]" Curiously, neither the parties' briefing nor the opinion below engage the biggest knot in the Martinez-Pinholster dispute: whether the Supreme Court has the authority to carve out common-law equitable exceptions to statutes, and if so, whether it can recognize an exception that was not in the common law at the time the statute was enacted, and whether it can be predicated merely on an attorney's deficient performance, as opposed to a traditional and more compelling basis like miscarriage of justice. The difference is with the nature of the limitation that the prisoner seeks to overcome: procedural on one hand, and the §2254(d) inquiry on the other. The former is a court-made common law doctrine intended to promote comity and respect valid state procedural rules. The latter is a statutory command, which significantly limits the Supreme Court's authority to craft exceptions. The closest authority discussing Court-made exceptions to a statutory command are Holland v. Florida and McQuiggin v. Perkins, both concerning the Congress-enacted statute of limitations. In each case, the Court justified its exception (equittible tolling for extraordinary circumstances, and actual innocence, respectively) by noting that it was established in the judicial common law against which Congress drafted the statute; if Congress sought to abrogate the equitable exception, it would have been more explicit. In this case, the problem is different: the Martinez exception neither implicates a miscarriage of justice nor was established at the time Congress drafted §2254(d). I don't think anyone would disagree that, as a matter of policy and equity, a petitioner whose deficient state collateral lawyer failed to raise an IATC claim should be treated differently from one whose lawyer raised (and lost) an inexcusably maldeveloped claim. Both are victims of their respective state lawyers' incompetence, but for the former Martinez will provide the windfall of de novo federal review, while for the latter, because of a state court ruling on the merits, there is neither de novo federal review nor even deferential review aided by more facts. Perhaps there is a better way for the Supreme Court to resolve this inequity without mechanically recognizing an "exception" per Martinez. Martinez works against a judicially-crafted bar (procedural default), but if recent cases are any indication, it will not fare so well against a statutory limit (§2254(d), as interpreted by Pinholster). To harmonize the equities of Pinholster and Martinez, the Court could provide more clarification to the amorphous language in §2254(d)(1)-(2): What exactly is a "claim adjudicated on the merits"? What can make for an "unreasonable" determination of the facts, or an "unreasonable" application of Strickland? For example, the Court could hold that it is "ureasonable" for a state court to evalute the the merits of a fact-intensive IATC claim on poorly developed pleadings. Alternatively, as alluded to in Pinholster, the Court could clarify what constitutes a "claim" under §2254(d), and hold that whenever the factual grounds in a federal pleading are different enough to create a substantial chance of being outcome-determinative compared to facts pled in state court, then the federal pleading is a new claim, to be analyzed under Martinez. Ultimately, even if the equitable principles embodied in Martinez may not justify a court-decreed exception to a clear statutory provision, they are quite persuasive for a court's interpretion of an ambiguous statutory provision. Or, of course, there is one solution that is the simplest of all: the Court could revisit what it chose to punt in Martinez, and hold that prisoners have a federal constitutional right to counsel in all initial-review proceedings. This approach, plainly it seems to me, would compel that §2254(d) limits be bypassed upon a showing that a constitutional violation tainted the state court's adjudication. So what is the deal with Gallow? My prediction is that the Court will deny certiorari, possibly with dissenting and concurring opinions. This is a prisoner's cert. petition, and there is absolutely no chance of a summary reversal that would necessarily alter the Pinholster'd §2254(d) review. The Martinez-Pinholster resolution will come eventually, likely after more courts of appeals flesh out these difficult issues, which the Fifth Circuit surely did not in Gallow.